Total Assurance Home Healthcare has established a well-respected reputation in the home care industry. 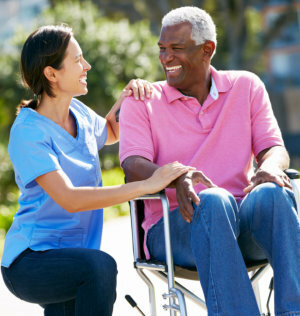 Our years of commitment to providing quality Home Healthcare Services in Connecticut is what our company takes pride in. We provide home care services that are customized to our clients’ needs to ensure a superior level of care. Scheduling doctors appointments and communicating with other healthcare professionals to provide top-quality care. Caregivers are added to our team through a 2 step process. Caregivers come in and complete an application and in-depth interview. Then the applicants’ references are verified and background checks are done prior to hiring. We require an annual physical and TB Test to ensure they’re in optimal health to care for our clients. Our caregivers also complete in-services yearly to assure that they’re properly refreshed in training, licensing, and are knowledgeable on medical conditions and care factors that contribute to providing the highest level of care. To inquire more about our services, please contact us at 1-877-372-3885 or send us an online message using our inquiry form.